Giveaway! The kids are back in school and September is here, but that doesn’t mean summer has to be over yet, right? 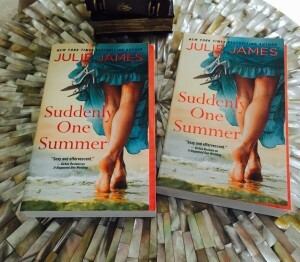 I have two signed copies of my newest release, SUDDENLY ONE SUMMER, up for grabs. To enter, simply leave a comment below. (Those of you seeing this on my Goodreads blog should follow this link to enter.) Giveaway is international and will remain open until 9pm CST tomorrow, September 2. Good luck! Winners will be drawn from those who enter via Facebook or my blog. Winners will be notified on Facebook and at my blog. 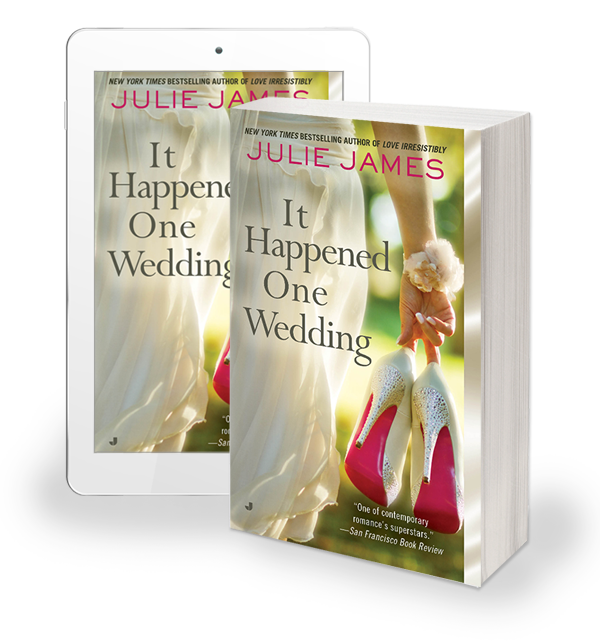 We’re one week away from the release of the trade paperback version of IT HAPPENED ONE WEDDING, and I have two signed copies up for grabs. To enter, simply leave a comment below. Giveaway is international and will remain open until 9pm CST tomorrow, July 29. Good luck! Winners will be drawn from those who enter here or on my Facebook page. Winners will be notified on this site. 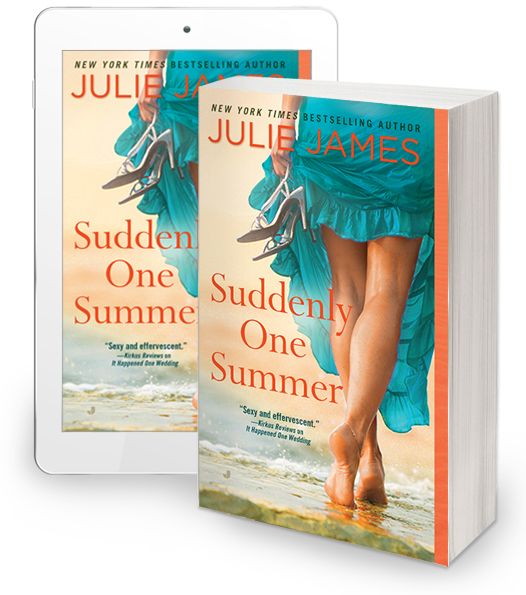 All right, we’re six days out from the release of SUDDENLY ONE SUMMER (whoo-hoo! ), and to celebrate, I have five signed, early copies of the book up for grabs. All you have to do to enter is leave a comment below. Giveaway is international and will remain open until 9pm CST tomorrow, May 28. Good luck! P.S. 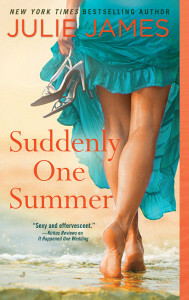 Those of you seeing this on my Goodreads page should click here to enter. Winners will be drawn from those who enter here and at the giveaway post on my Facebook page. Winners will be notified on this site and on my Facebook page. Friday giveaway! Let’s do something different with this one. 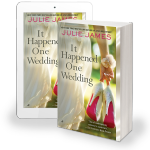 I have five *Kindle* copies of IT HAPPENED ONE WEDDING up for grabs. Already own a Kindle copy? You can forward the gift certificate to a friend and make their Memorial Day weekend! To enter, just leave a comment below. Giveaway will be open until 9pm CST today. Please note that the Kindle gift certificates will be coming from Amazon U.S. and that winners will be drawn from those who enter here and at my Facebook page. Good luck! And while we’re chatting… have you pre-ordered your copy of my June 2 release, SUDDENLY ONE SUMMER, yet? “A radiant winner” says Kirkus Reviews. The paperback is currently on sale at Amazon for only $6.47. No clue how long that will last, so get it while it’s hot! Giveaway! 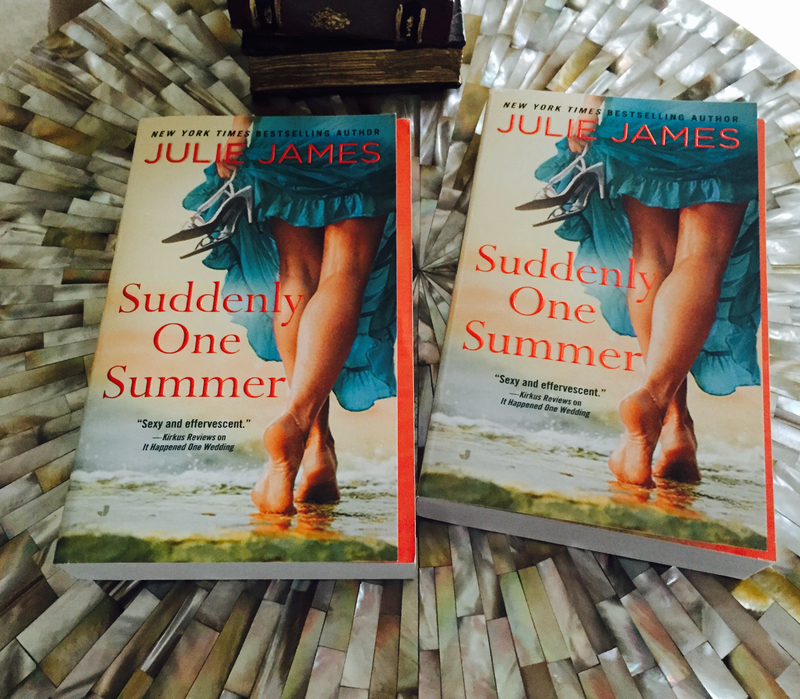 Just two more weeks to my new release, SUDDENLY ONE SUMMER, and I’m celebrating by giving away THREE SETS of books! 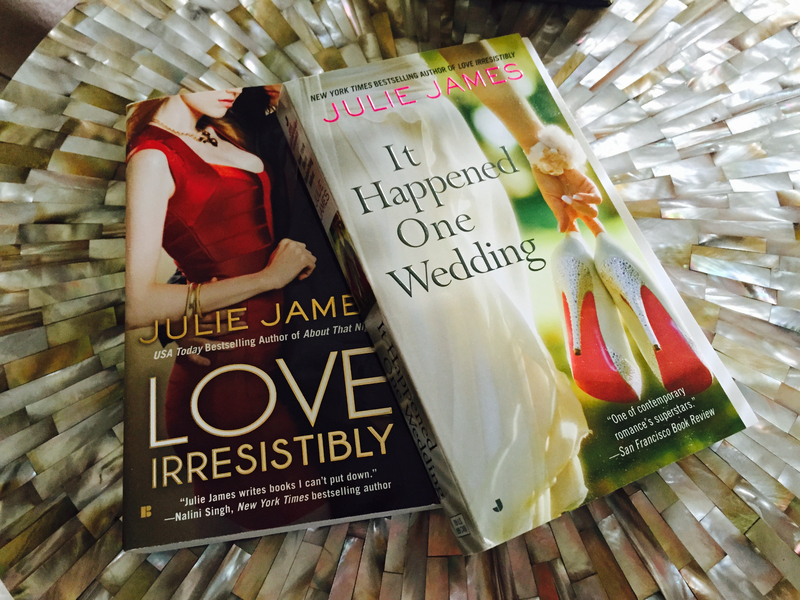 That’s right, three lucky winners will receive signed copies of both IT HAPPENED ONE WEDDING and LOVE IRRESISTIBLY. To enter, just leave a comment below. Giveaway is international, and will remain open until 9pm CST on Tuesday, May 19. Good luck! Those of you seeing this on my Goodreads page should follow this link to enter. 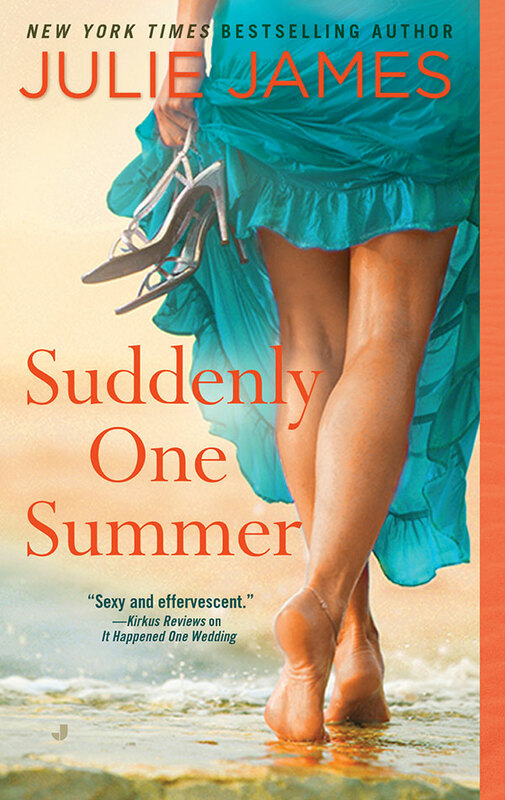 “Bright humor… and sizzling sexual tension make this a radiant winner.” (Kirkus Reviews on SUDDENLY ONE SUMMER). Available June 2. Pre-order your copy now! Please note: this giveaway is also being run on my Facebook page. Winners will be drawn from those who enter here and at the giveaway post at my Facebook page.